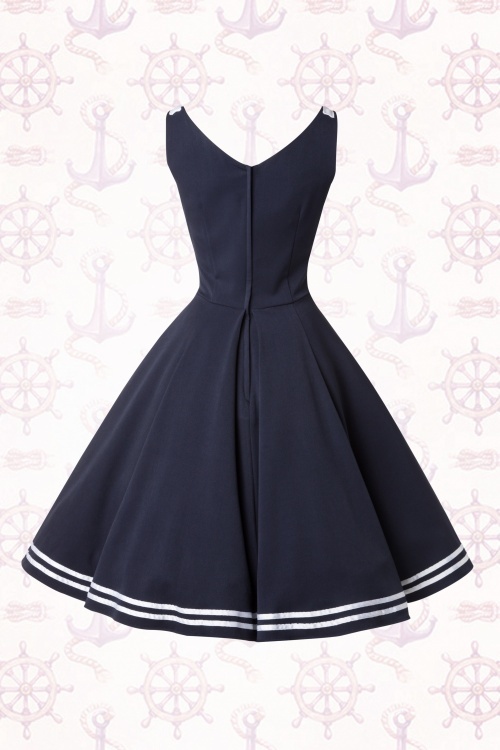 Feel like a glamorous 50s sailor girl when wearing this 50s Carol May Sailor Dress! 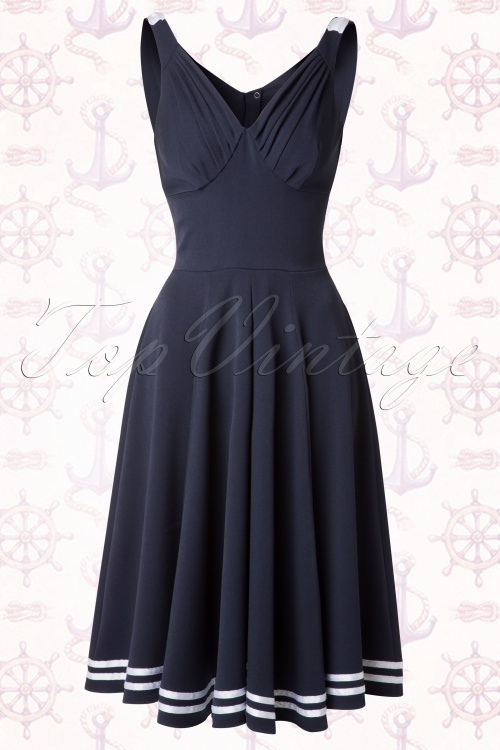 Many marine will twist their neck when you stroll along wearing this beauty! 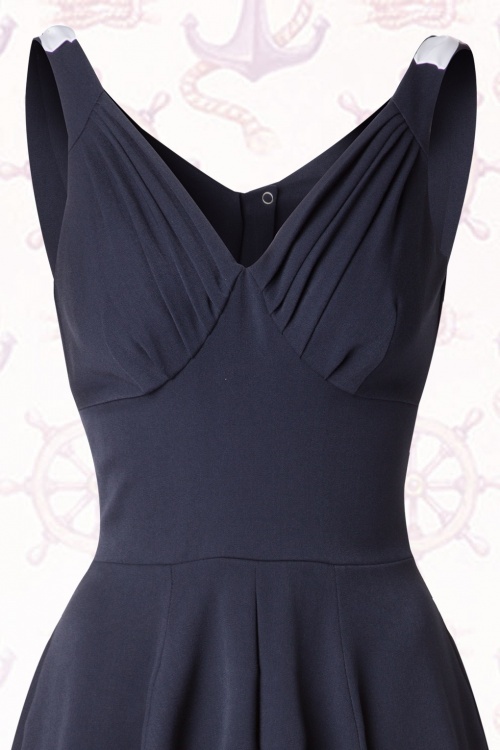 Elegant V-neckline with pleated cups, a subtle V at the back and cute little white sateen fixed bows on top of the shoulder straps. From the waist down ending in a full swing skirt with flattering box pleats which can be paired with one of our petticoats for an extra festive effect, as shown in our pictures. 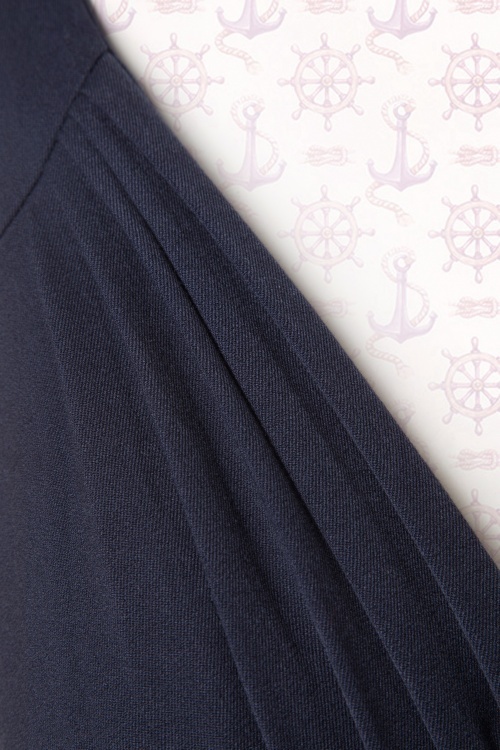 The hem of the skirt is decorated with 2 white sateen trims for a nautical effect, oh la la! 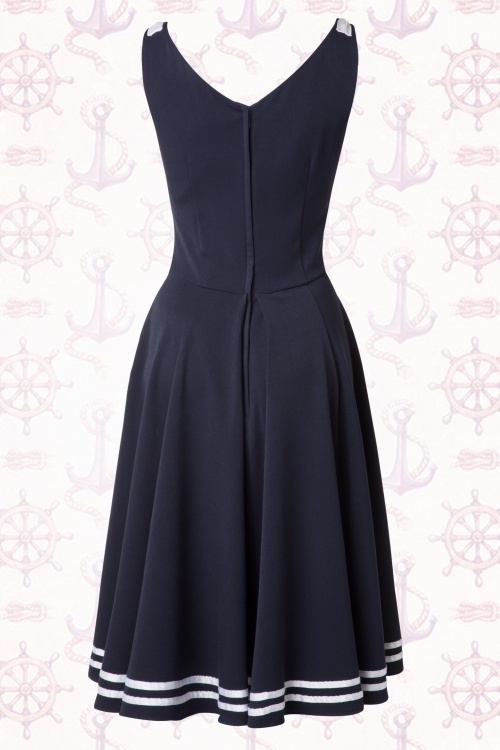 Made from a gorgeous light stretchy dark blue fabric and finished off with a hidden zipper at the back. Our black beauty Ava height: 1.69m / 5’7”. 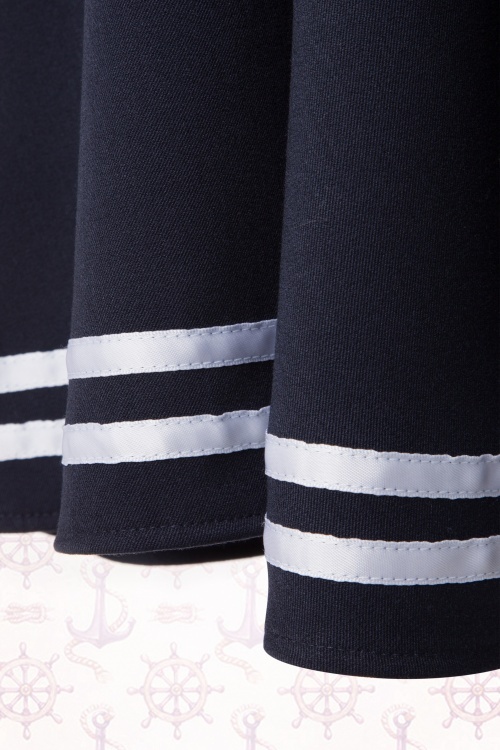 Bring on Fleet week!